I was delighted to see this early Spring flower. The white one ” Anemone Nemorosa ” is called Vitsippa in Sweden and one that brings smiles to everyone. They are out now. Anemone Hepatica ( Blåsippa comes very soon after. Such a delight. Anemone Nemorosa is a lovely plant, as well. 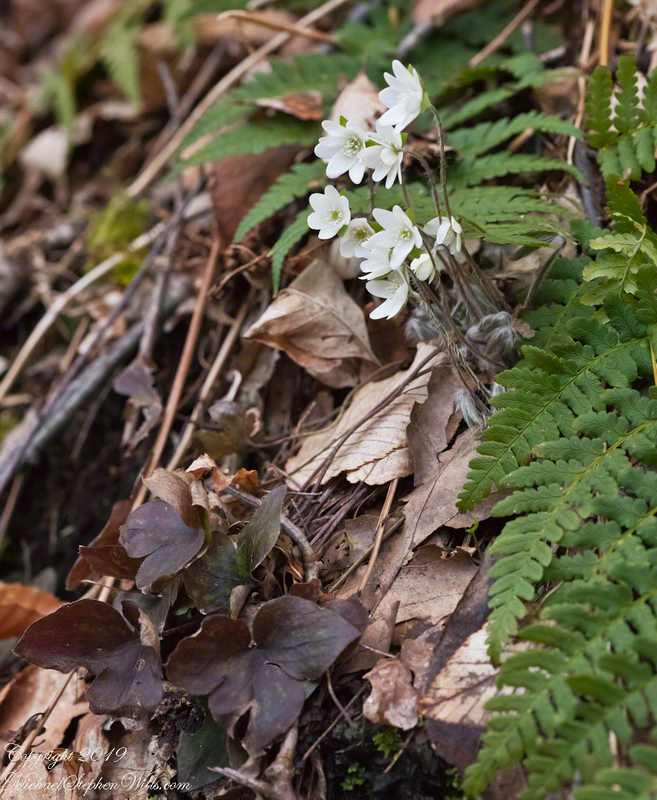 It has a thicker growth than hepatica and the flower is much larger, about 2.5 the diameter. It must be a joy to see the massed flowers. I enjoy learning about wildflowers, thank you Miriam. I have noticed many early spring flowers in my morning walks. They are a welcome blessing after a long winter. They are certainly welcome and anticipated. Thanks for stopping by and sharing. Michael, beautiful photos of these flowers … and thank you for teaching me their name! They are a joy to behold and the blue/purple hue of the last flower shines bright as it stands proud! A friend in Canada posted some of these recently (a new flower to me), and asked what we thought the collective noun for them might be. I suggested a ‘happiness of Hepatica,’ and your photos make me even more sure that might be the right word. I’d go with your phrase, it is close to my feeling coming upon them. By coincidence we were looking for hepatica flowers yesterday in a nearby city park where it appeared 2 years ago. No luck this time, but found other spring flowers like anemone nemorosa. Now winter is definitely over. Thank goodness. Our spring chore season started two weeks ago, feels long overdue. Nice to see these lovely blossoms! Aren’t hepatica gorgeous? Especially so when seen through your eyes, Michael. I’ve never seen these before, it is lovely! Thank you. 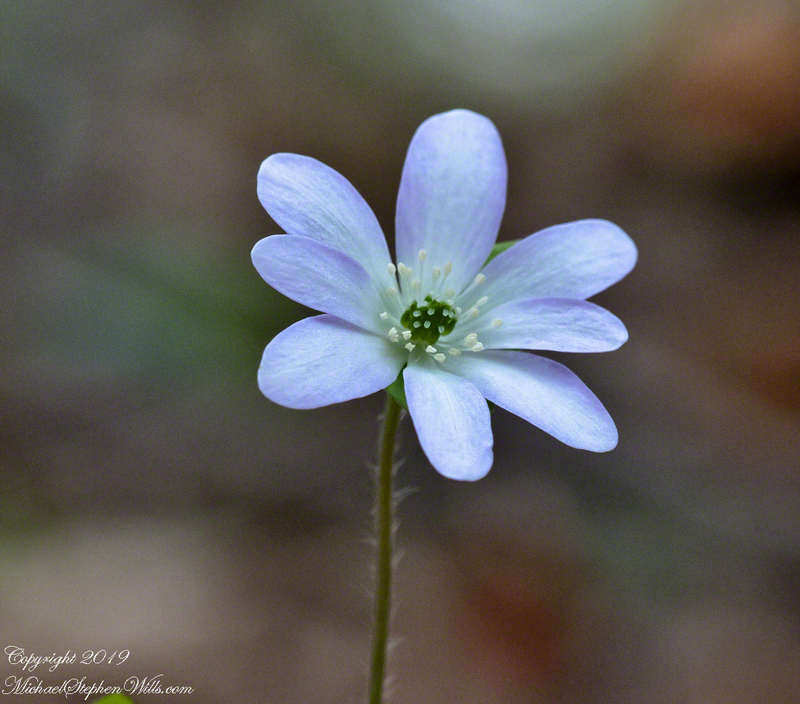 When I saw your title and the header photo, I thought that hepatica looks like an anemone. Then I got down to your tags and found out that hepatica is an anemone. Hepatica shares scientific classification categories up to the Tribe Anemoneae and has a different Genus, Hepatica compared to Anemone. Growth habits are quite different. Around here, the Anemone is on a very long, strong stem, has a much larger flower. Hepatica grow close to the ground on tender, hairy stems. Some botanists see a broad association between Hepatica and Anemone which is why is found its way into my tags. So sweet, Michael. It is wonderful that nature keeps surprising us with its beauty. They are marvelous, delicate yet hardy.